The joint aches and pains of arthritis are mostly chronic in nature, leaving sufferers frustrated with the treatments and care they must take to avoid the worst of the pain. At best, the flare-ups are annoying and a nuisance to cope with. But the inflammation of the condition often can be debilitating and painful to bear. 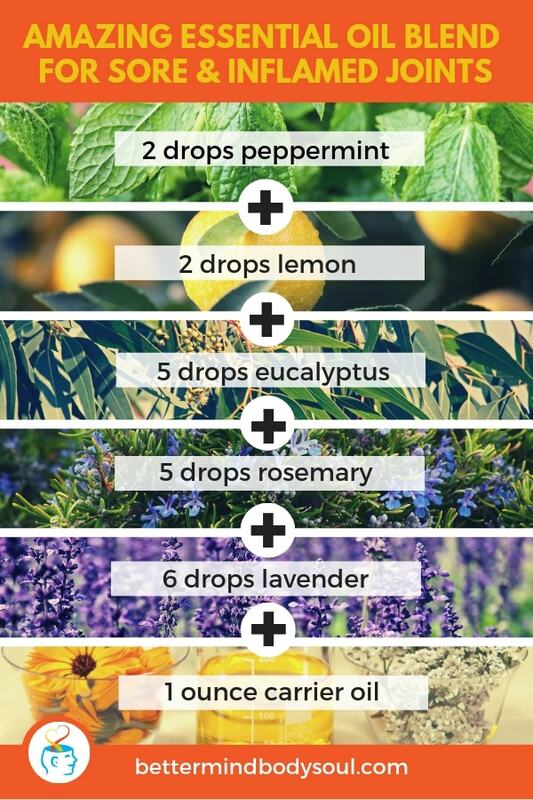 Of course, your primary care physician can often alleviate the worst of the pain with prescribed treatments, but the addition of natural essential oils can help reduce your pain. 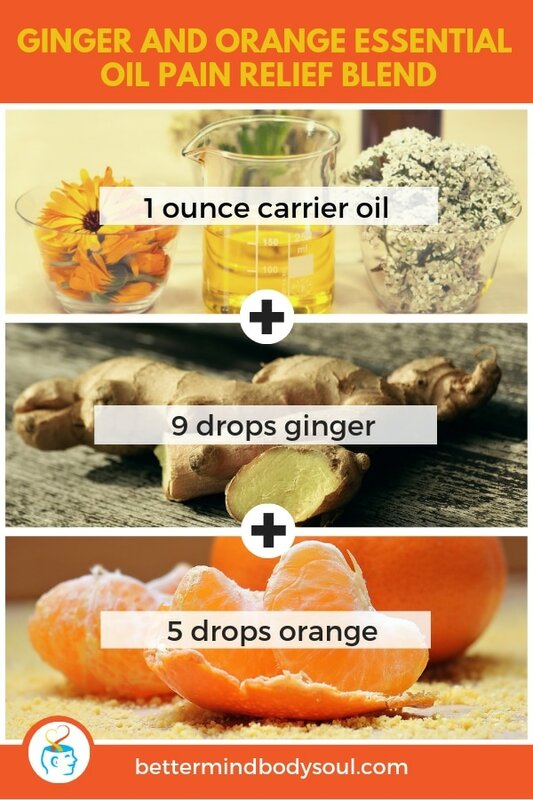 The following essential oil recipes for arthritis and joint pains can help treat the source of the discomfort and can be very effective in providing relief. Arthritic pain adds a degree of both physical and mental stress to your day that is undeserved. When our bodies are coping with discomfort, we may find ourselves unable to concentrate, rest soundly, or even reason rationally. 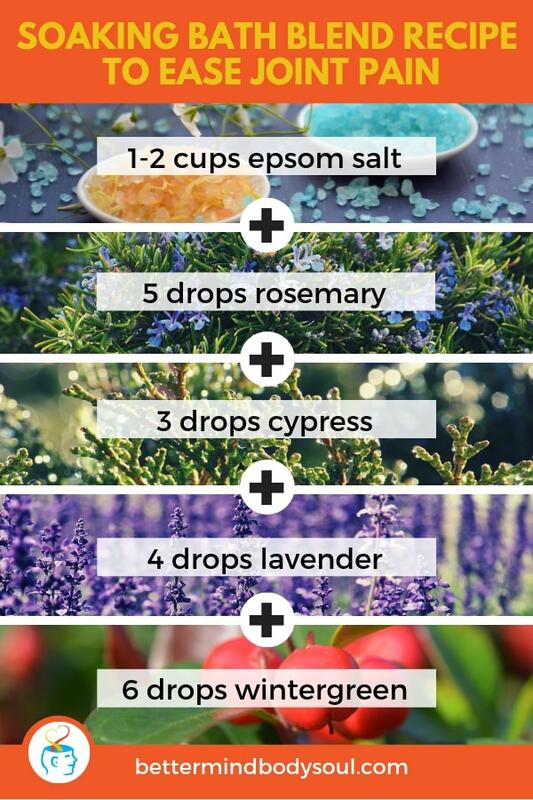 Even if you are being treated by a healthcare provider for your pain, the use of essential oils can be a soothing addition to your regimen to help get through the worst parts of your symptoms. As with the introduction of anything new, you may want to check with a doctor in relation to possible interactions with other topical solutions you may be using. 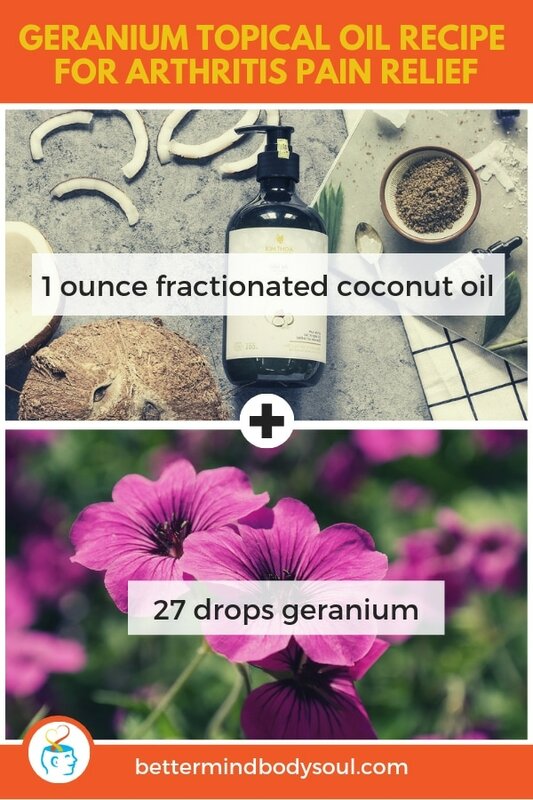 Arthritic pain is often felt deep within the tissues and joints of the afflicted area, and you want to use an oil that helps increase circulation and decrease inflammation to provide relief. 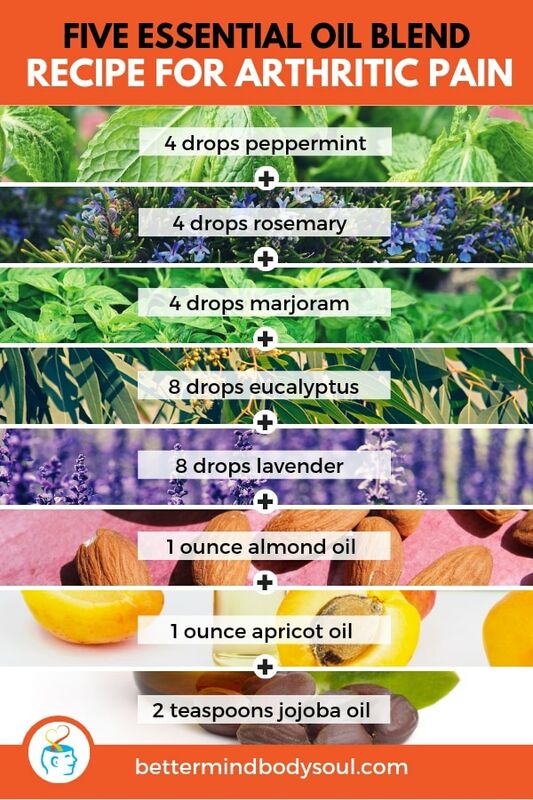 Although there are many oils that work well for this, some are more powerful than others. 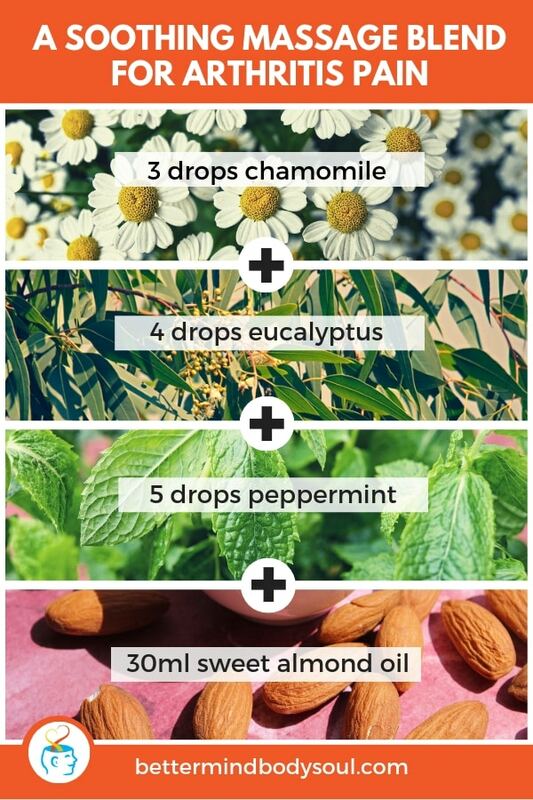 You can use any of the following 5 oils as a stand-alone or mixed each with one another to massage over the areas you experience the most pain. You should consider using them with a carrier oil of some sort to help dilute it so that it can be spread out over your skin more effectively. 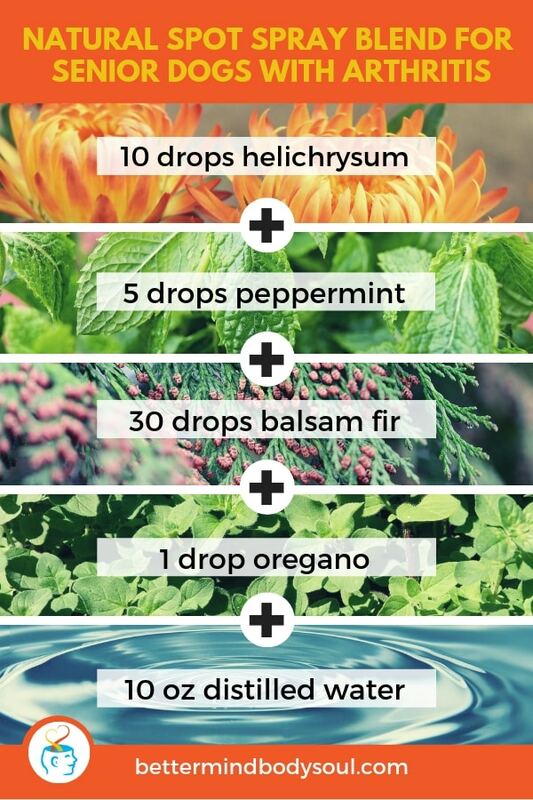 Mix well together and apply to areas that aches or are painful through a gentle massage. Massage blends are a popular way to help introduce the healing properties of oils to your skin to reach deep into the tissues for long-lasting relief. With the warming and cooling sensations of a peppermint and eucalyptus duo, combined with the calming, anti-inflammatory effects of chamomile, this is a go-to blend you can count on for more than just arthritic discomfort. Blend the above oils together well and use a roll-on container to ensure even application prior to massaging into areas of affliction. You can also increase the amount of the recipe if you feel you need more. Humans are not the only living beings that suffer from arthritis. Our pets do too, and it can often become noticeable in our older dogs – leaving us wondering what we can do to help alleviate their discomfort. 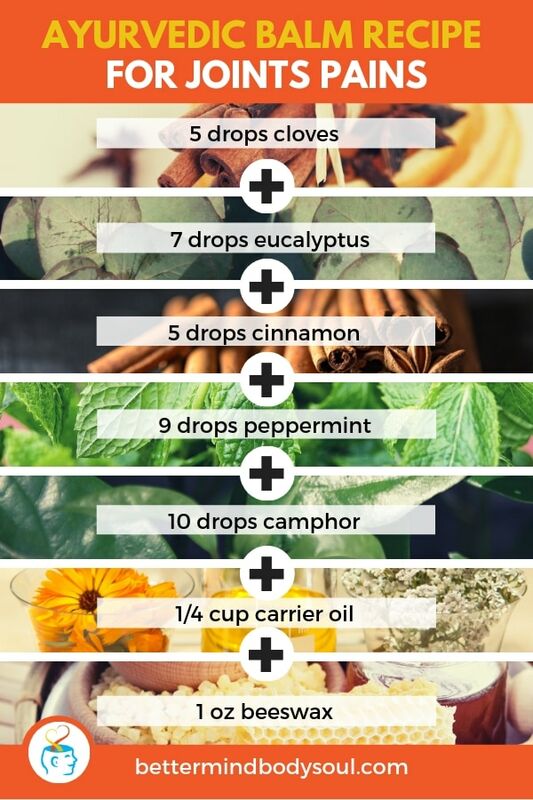 Essential oil blends are also a wonderful choice for our four-legged friends, and the following recipe can help stir them from licking it off, but even if they do ingest a little of it, it won’t harm them. 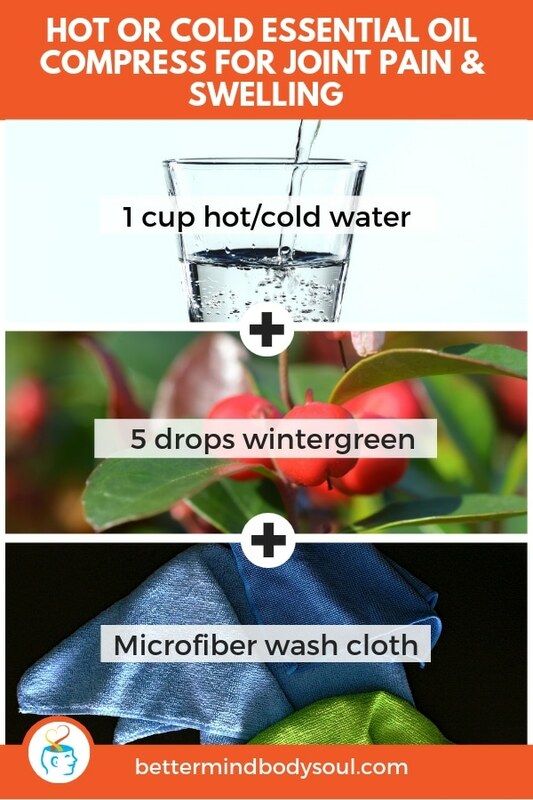 Mix together in a spray bottle and apply to affected areas as needed. Be sure to shake well to blend the ingredients before each use. If you can, massage into the area as well with your hand. There is no doubt that lavender is a leading oil for pain and discomfort in many different scenarios. Eucalyptus and tea tree are also popular go-to’s, but there is no need to limit yourself simply because they are the most common ingredients in many pain relieving recipes. Geranium is a highly potent and powerful oil used for centuries to help with inflammation. Follow the suggested dilution for a 3% blend to work over your joints for long-lasting relief. Mix together well and massage gently on your joint areas. Joint pain is a common denominator in arthritic body responses. Most approaches to joint care are specific to helping to alleviate the aches and pains that feel deep-rooted within the joints themselves. A good pain recipe will not only address this but also the inflammation of the surrounding soft tissues that are part of the entire response. A more holistic approach to the entire experience can help get you moving more comfortably in no time. Ayurvedic medicines are a traditional approach to help bring balance to the body as a whole. It is believed that clearing toxins and other disruptive elements can help your body work more naturally to heal itself and provide an overall healthy living. Other than suggesting a digestive and spiritual cleanse, it is recommended to use a soothing herbal balm directly to your afflicted joints. Cayenne pepper oil is also highly recommended in this practice as a powerful pain reliever (just be sure to dilute well before application). Melt the beeswax and stir in the oils as it cools. Mix well and place in containers for the application. Let it sit for a few hours before use. Ginger is a powerful oil when applied topically and taken internally. It is a healthy choice to introduce into your life no matter what your ailments are, and it has powerful reactions to inflammation. It has a strong scent and flavor, and it blends well with orange. However, it should be mixed with a carrier oil to help dilute both the strength of the oil for topical purposes and the scent – which, by the way, is more pleasant. It is well known that heat helps soothe inflammation and increases blood circulation to provide healing and pain reduction. Soaking in a bath loosens up soft tissues that may be inflamed and reactive to joint pain. It also allows for increased blood flow throughout the whole body. Using Epsom salts and specific oils, you can bring relief not only to your body but the mind as well through the effects of aromatherapy. Mix well into your bathwater, or you create a larger batch for storage and pour a cup or 2 into your bath for a minimum of a 20-minute soak. You can also add in sea salt and/or baking soda – both of which help detox your body, open pores, and make your skin feel soft and clean. When inflammation flare-ups occur, they can be bad enough to look physically distressing. Swollen joints and fluid retention as your body attempts to control the issue are very real and painful, and it can last for weeks at a time. You want to treat the area for pain and alleviate the swelling and fluid build up. The following recipe has proven effective in providing comfort and healing. 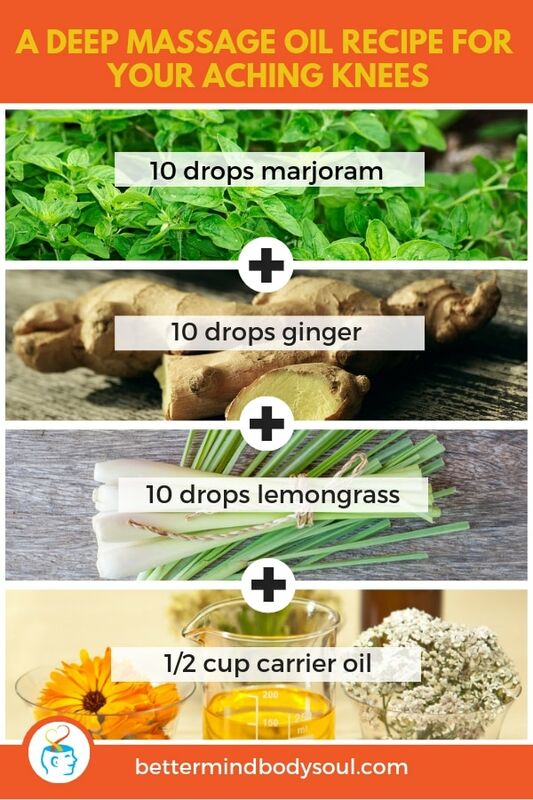 Mix well together and apply at least twice a day for a week or until inflammation reduces. It can also help as a preventative measure for future inflammation or flare-ups. Knee pain doesn’t have to be associated with arthritis as they are one of the most used joints in our entire body- and consistent movement can influence pain. Past injuries, disease, overuse, and other scenarios can cause both temporary and long-term chronic knee pain conditions. One thing you can do is provide preventative care of this well used joint, as well as treat any discomfort you may be experiencing. A regular use of oil and oil blends helps increase healthy blood flow and make your movements more fluid. Massage oils should be applied liberally over your aching knees and gently massaged in and around the afflicted area. The simple mix of penetrating ginger and marjoram combined with the powerful anti-inflammatory of lemongrass can create a soothing recipe for a quick relief and long-lasting effects. It also works well to use after workouts, and being on your feet all day, it is a go-to for leg massage to help increase circulation. Mix well and store in a dark, cool area before using. When treating pain, use at least twice a day to help reduce swelling in the area and prevent worsening of the issue. After an injury or during pain reactions, you may have been instructed to both ice and heat the area in question to promote healing. Cooling applications help reduce swelling, while heat influences blood flow- making both treatments when used together rather effective. Some oils are very effective in providing both sensations, the most popular being wintergreen, which, when added to the practice, makes them even more useful. After adding the oil to the water, mix well and soak into a washcloth before placing it over the afflicted area. For a really cold compress, you can place in a plastic bag and stick in the freezer for 15 minutes. Sometimes the best application is one that provides a little more substance than just a simple oil. Creams and gels are great ways to apply your favorite oils to sore areas. They actually blend well and are used for an even application. Simply applying the oil in a carrier oil can get a little messy at times and may not soak into the skin as easily as the other modes. The use of aloe vera can be a good choice as it is popular for sensitive skin. It is still light enough to mix well with oils and can be applied directly on the skin for maximum potency. Take ANY of the above-mentioned oils or oil blends that call for it to be mixed with a carrier. 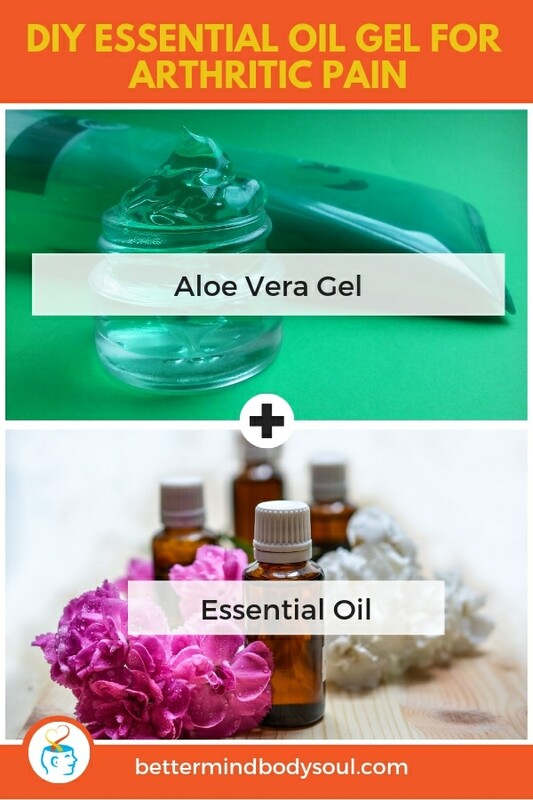 Now instead of a carrier oil, mix with aloe vera gel. Aloe vera has a natural anti-inflammatory, antibacterial, and antifungal properties, making it a natural choice for self-care. Plus, it provides a cooling sensation, and when mixed with various oils, provides all the sensations you expect for pain relief and healing. If you suffer from discomfort due to arthritis, whether it be osteoarthritis, rheumatoid, or psoriatic, you are going to need to care for your body to help reduce those painful flare-ups and treat the uncomfortable conditions from time to time. The topical applications provided above are good for more than just arthritis. They generally help alleviate inflammation and provide relief from the worst of the pain.